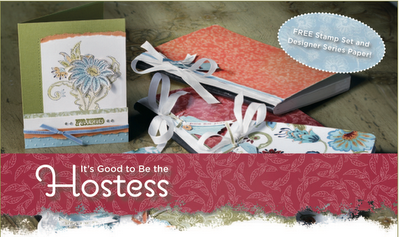 Wow, what an offer... not to be missed .... Today sees the start of a fabulous new Hostess Promotion from Stampin' Up! If you host a party during the period 1st November to 15th December and your party sales make £300 or more, then in addition to the normal hostess benefits you will receive extra Freebies from Stampin' Up! This offer is also available to anyone who places an order of £300 during the Promotion Period. Don't miss out on the opportunity to get these items for free! Contact me today to book your party - or place your order!